"He's been awfully smug since he got an R.V." 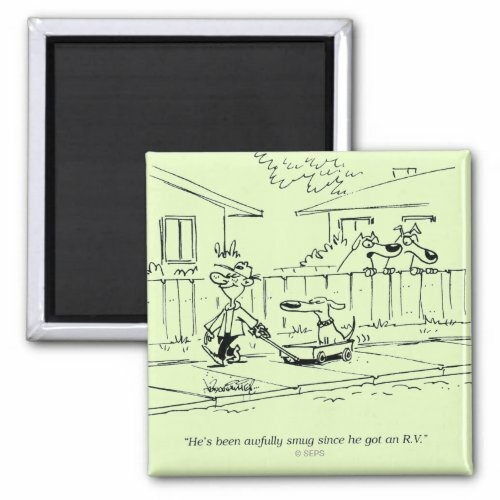 A funny, hilarious square magnet for your fridge, file cabinet, dishwasher or any of your favorite metal surface. Featuring a cartoon of two dogs standing at a fence, watching a fellow dog pass by, sitting all prim and proper and smug in his new ride - a brand new RV being towed by the dog owner. A fun gift for pet lovers, dog owners, friends, and family.